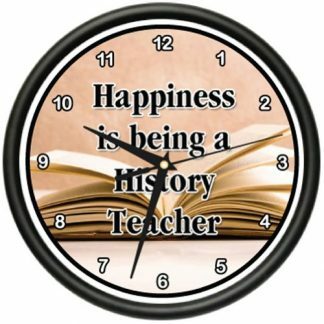 There is that kid in everyone of us – even in your history teacher. This night light is the perfect example for that. 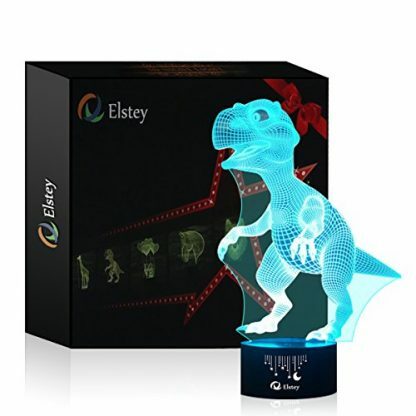 When turned on, it creatively illuminates a 3D image of a dinosaur in one steady color, or 7 changing colors.M. It’s the ultimate gift to give to kids and kids at heart. 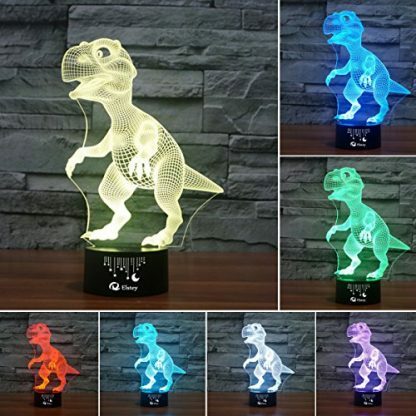 Dinosaurs are definitely a thing of the past, and there’s no more like them today that are alive and breathing. 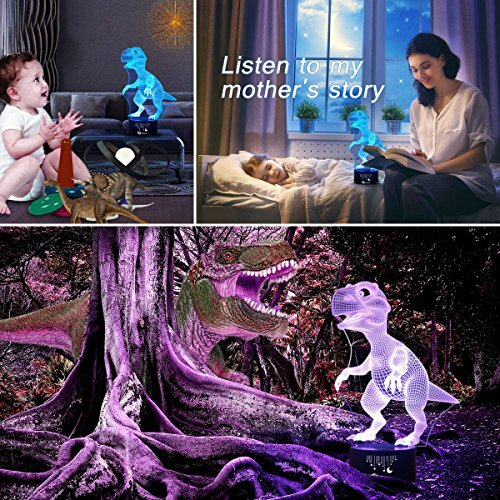 Nonetheless, they never fail to interest the human minds. 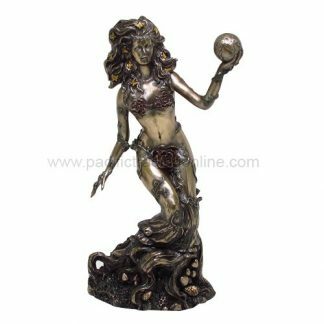 It doesn’t matter that all we have of them now are caricatures, bones, and models. Dinosaurs remain alive in our minds and imaginations. Huge and scary-looking dinosaurs like the T-Rex and the Triceratops are the best epitome of the dangers and primitive life during the prehistoric times. And speaking of prehistoric, these are topics history teachers just love. 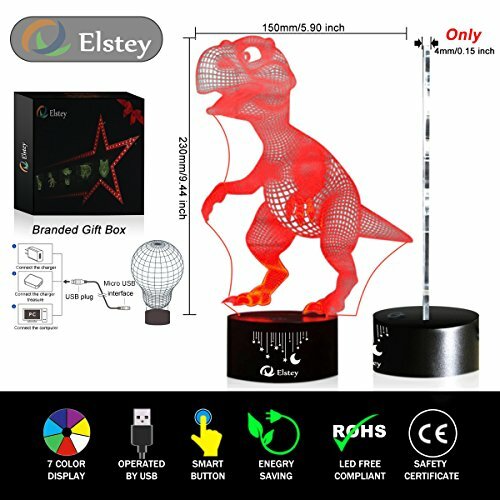 If you are looking for a gift to give that’s usable, unforgettable, and fun, this 3D Dinosaur visual creative lamp is the best buy. 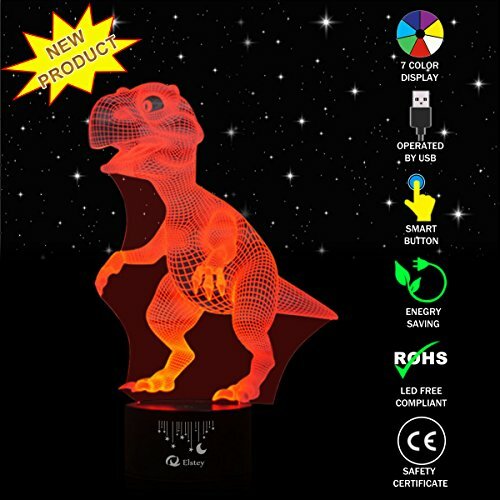 Notice: The product (lamp) itself is flat. 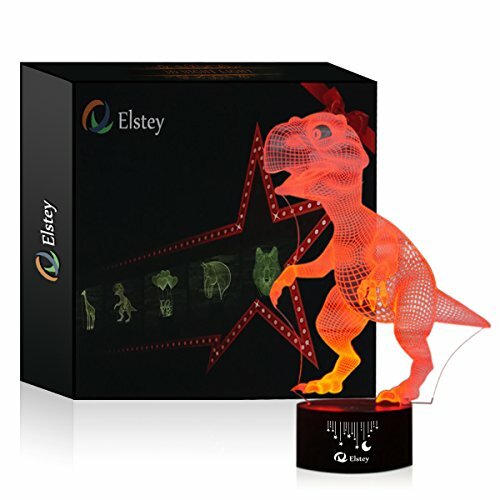 The 3D presentation is a visual effect. It’s a fun gift item that is appropriate for anyone at any age. After all, adults still enjoy some things that we have enjoyed when we were still in our wee years. 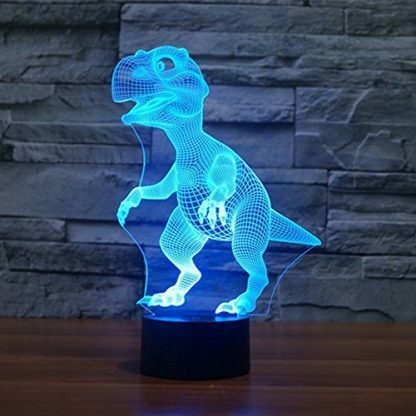 This night light is a perfect piece to add on your bed side-table. 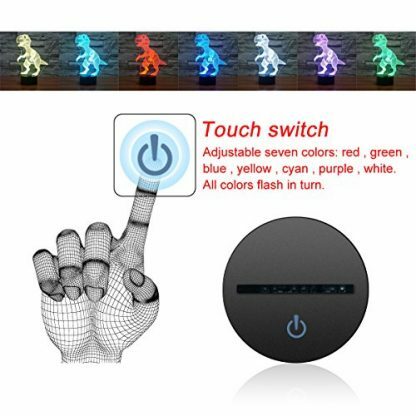 The light and colors it gives off does not bright enough to interrupt sleep. 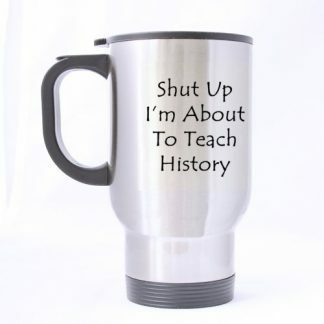 Whatever the occasion is for giving a gift to your history teacher, this item is appropriately great!